In recent years the growing appreciation of eco-sustainable materials has led to a higher demand for new natural products. 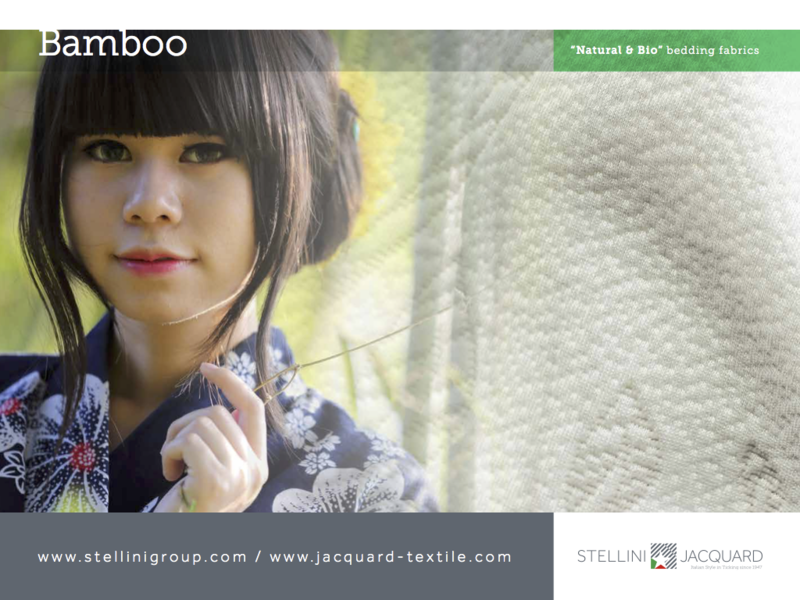 The fabric made from bamboo fiber is perhaps the one which has reaped the most success, and for a good reason. Indeed, products made from this fiber are super soft yet also very tough. They are breathable and therefore fresh in all circumstances, with a natural antibacterial effect that eliminates odours and discomfort. By combining this extraordinary natural material with other fabrics, such as cotton and viscose, we have created a collection of fabrics with a unique style and look. Antibacterial effect (thanks to Baboo kun, a natural antibacterial agent present in the fiber).